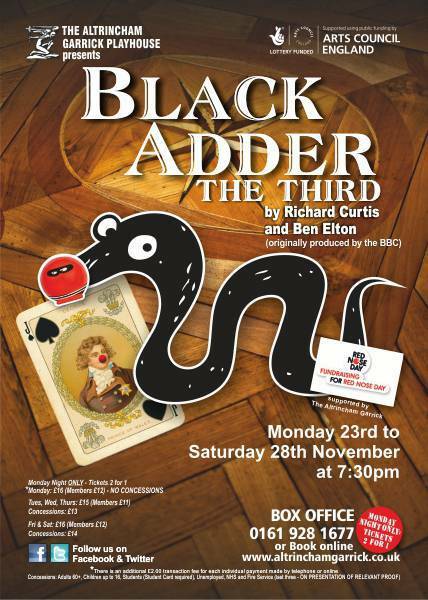 Home» Garrick News » 5 Stars for Blackadder! ?Quote – ?’one of the best comedies the Garrick has ever done,?a wall to wall triumph’. See the full review on our website, with full cast list and more production photos – and BUY A TICKET SOON! – don’t miss this one!